It looks like the state that has been the leading candidate vying to win Tesla’s battery factory has indeed actually secured the deal. According to several media reports, Tesla has chosen Nevada as the state where it will build its battery factory. Nevada’s Governor Brian Sandoval has called a press conference about a “major economic development announcement” for 4pm on Thursday at the Capital Building in Carson City, Nevada, and a source has confirmed that Tesla representatives and the legislature will be at the event. CNBC said that Tesla and Nevada representatives are still negotiating the specifics of the deal. The Reno Gazette Journal said that the announcement on Thursday will be that the legislature is calling a special session potentially next week to consider a tax abatement package for Tesla for a factory in Northern Nevada. Tesla has been looking for tax incentives worth about $400 million and Tesla CEO Elon Musk said in the company’s most recent earnings call that the ball was “in the court of the Governor and the state legislature” in Nevada. Tesla has already cleared a pad for a factory space at the Tahoe Reno Industrial Center, which I visited last month, but Musk had previously said that Tesla planned to clear spaces at other sites in others states. 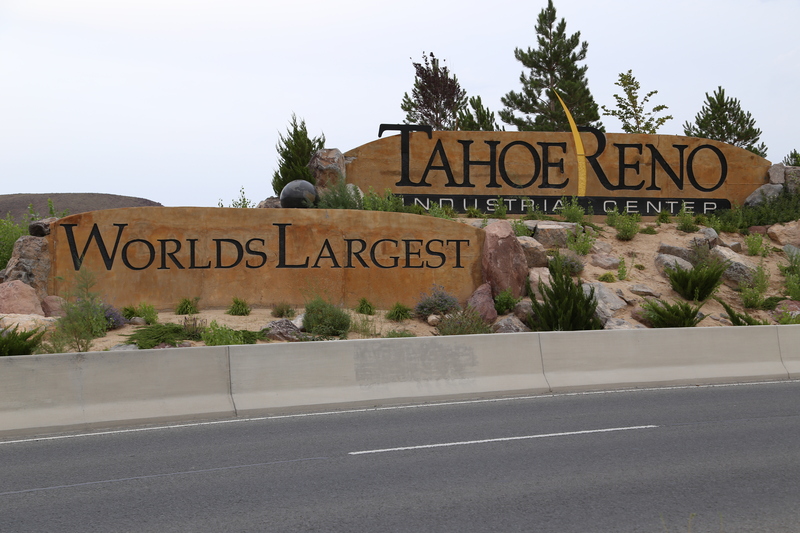 The Tahoe Reno Industrial Center. Image courtesy of Katie Fehrenbacher, Gigaom. The battery factory will potentially cost $5 billion, will be developed in partnership with battery giant Panasonic and will mean 6,500 jobs for the Northern Nevada region. A high profile company like Tesla bringing in that many jobs could be a game changer for the Reno/Sparks area, which had been hit particularly hard by the recession (see my story on Reno’s revitalization). 1). Location: A couple hours drive from the Bay Area and, in particular, a four-hour drive Tesla’s Fremont factory. If the batteries are made a few hours from where the cars are assembled, Tesla will save significantly on shipping costs. 2). Cheap land: Northern Nevada has a lot of land and it’s relatively inexpensive compared to many other states. It’s even cheap enough for Tesla to start initial construction on it without committing to the location. 3). Not many taxes: Nevada doesn’t have a lot taxes, including zero corporate income tax, and minimal employer payroll tax. That makes it a good place for companies to do business. 4). Nevada government can move quickly: Nevada’s state government, including its environmental and regulatory bodies, can move more quickly than many other states. It’s part of that whole “government get out of the way” mentality. That’s why Tesla can secure some strong incentives so quickly, just like Apple did when building its data center. 5). Widely available clean energy: Nevada has a large and growing amount of renewable energy, including solar, wind and geothermal. 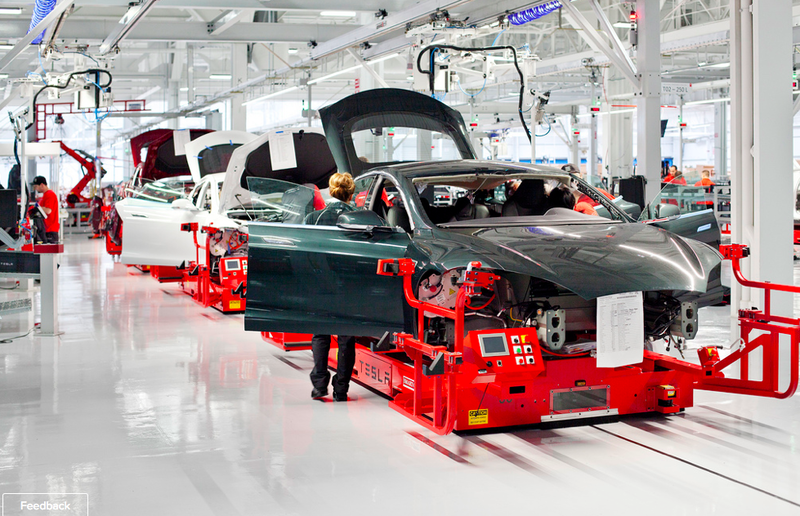 Tesla plans to power a substantial part of its factory with clean energy. Nevada’s utility NV Energy has been pretty aggressive when it comes to working with companies that want to buy clean power. 6). Quality of life: Northern Nevada folks like to tout that the area is great for outdoors living — it’s about 30 minutes from Lake Tahoe and close to rivers and national forests. That means it could be an attractive draw for valuable high tech manufacturing talent. 7). Near talent: The battery factory needs 6,500 talented workers. Many areas of the country don’t have such a pool of worker resources. But since Northern Nevada is so close to the Bay Area and Los Angeles, workers from nearby cities could relocate to the area to work. 8). Reliable water and power: While water is scarce throughout California, an area that is building the world’s largest lithium ion battery factory needs both reliable water and power. And Northern Nevada has these both in spades. Nevada was the right choice for all the reasons stated. They wanted the business and took many of the obstacles out of the way. No taxes was the way the state lured businesses into N Nevada many years ago. It still promotes business where mining is the states #1 industry. Reid’s state pays no corporate taxes……how does that work. Double standard when it suits a democratic who will more than likely gain huge donations for his political chest….maybe he will quit making breaking the law with his undeclared purchase(twice he tried until he got caught again purchasing product from granddaughter gifts). He might be getting more than a little forgetful. Don’t forget the Salton Sea and Simbol’s separation of lithium from the heated sea brine which it receives from Geothermal. Proved out as Demo plant and moving into full production (15,000 metric tons/year/plant). Located near crossroads NAFTA HWY & Interstate 10, with major Rail, Native American land fast track with special Salton Sea incentives, Foreign Trade Zone, New Market Tax Credits. A new industrial cluster. Great inexpensive housing/golf in nearby Borrego Springs. I’d also say a train line that runs to San Fransisco – how else would you send 500,000 cars x 400kg of batteries PER CAR to the factory. Great article. Great for Nevada and Tesla. Best of luck to all the companies and people who will have new jobs! What about Seattle? Top notch tech companies, top notch workforce. What else do you want?! Cheap land, a close by lithium mine, proximity to the corporate headquarters, proximity to great skiing, gambling, a short RR trip to the main factory, no hippies and a desire to go there.